Mutual Attraction: it's the looks that count! The Batik Boutique Hotel's Photography Competition! In conjunction with Valentine's Day, we are hosting our very first photography competition! It's so simple; all you have to do is upload a picture on our Facebook event page to stand a chance to walk away with one of three amazing prizes! The top three pictures with the most "like"s will win! 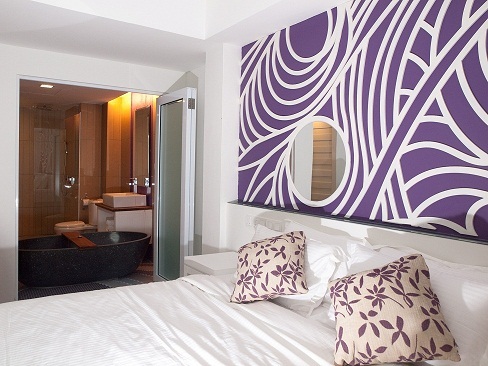 All pictures must be taken on site at the Batik Boutique Hotel. You can take pictures of your friends and family or even bring in your pets or hire professional models! You can upload up to three of your favourite pictures, but can only win one prize per person. *All suites are subject to availability. This voucher will be valid from 10/2/2011 - 10/6/2011. Re: Mutual Attraction: it's the looks that count! Five days to go! Don't miss out on the chance to win one of three amazing prizes! Good news! Our photography competition, Mutual Attraction, has been extended till 12/2/11. You now have more time to gather up more likes! The deadline for both submission and voting will end at 11.30pm on 12 February 2011.